Kitchen and 3 bathrooms, completely renovated in November, 2014. Our comfortable and roomy villa is ideal for family vacations, golf trips, or tennis get-aways. We are located mid-island in Inverness Village in Palmetto Dunes, a secure, gated community. The fully equipped stainless steel kitchen features new quartz counter tops, a sunny breakfast room with new furniture and a pass-through to the dining area. Both the dining area and the living area are spacious and comfortable. Our Villa offers a full-size washer and dryer. We have 4 LED flat screen TVs and 3 DVD players. All bathrooms have been completely renovated with ceramic tiled showers. The large up stairs hall bathroom has double sinks and a tub/shower. The glass enclosed master shower has a convenient tiled bench seat and double sink. All vanities have granite counter tops. All toilets are comfort height. You can enjoy our gas barbecue grill and table and chairs on the patio with a view of the 12th hole of the Fazio Golf Course. Inverness Village offers its own free tennis courts and a lovely full-sized pool, as well as a baby pool. While staying at 950 Inverness, you can take the FREE Palmetto Dunes Buggy and visit other sections of Palmetto Dunes or explore Shelter Cove with its wonderful restaurants, unique shops, charter fishing, and sightseeing cruises. In season, Shelter Cove offers nightly free entertainment and weekly fireworks. The Palmetto Dunes buggy can also be called ON-DEMAND to take you to and from our front door and the beach or anywhere else within Palmetto Dunes/Shelter Cove. And it's FREE! We had vacationed at our time share in Sea Pines for over 30 years but nothing beats the beauty and convenience of Palmetto Dunes and owning this lovely villa on the golf course! All bathrooms have been recently redecorated. Skylight in master bath. Walk out the living room sliding doors to the patio and 12th green of the George Fazio golf course. GRANITE COUNTER TOPS & DOUBLE STAINLESS STEEL SINK! Off the master bedroom overlooking the golf course. 2 small steps to the front door. One bedroom on ground floor. Gas Grill, beach chairs, boogie boards, 2 three wheelers, 2 children's bikes, 26' men's bike, 24: lady's bike, videos, books & games. Great unit, clean and comfortable. Easy to communicate with Phil . Palmetto Dunes was great as always and this condo in Inverness village was great. It was furnished well and the owner was very helpful during our stay. We especially enjoyed the sunny breakfast nook in the mornings. The property was a great size for our family. It was clean and well maintained. 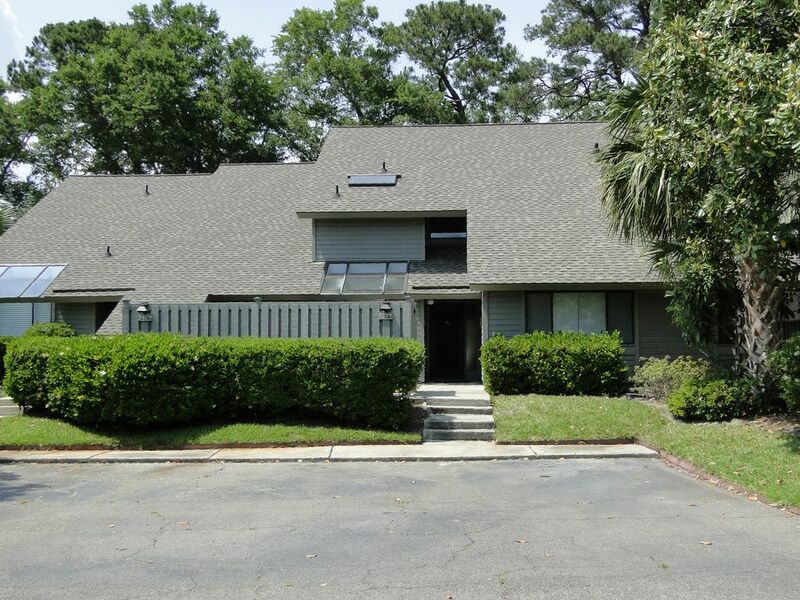 We have stayed in Palmetto Dunes for several years no and this property was the perfect size. It was clean and well maintained with all the necessities. It overlooks the Fazio golf course and was a short bike ride to the beach. The pool was convenient and clean. My tennis team and myself had a wonderful stay for 6 nights. The tennis courts and pool were well maintained. Location was perfect to , beach, restaurants, golf, shopping. We will defiantly request it again. Thank you. The villa was clean and comfortable. It was close to the pool and having the golf course in the back made for a great setting. There was plenty of room for 3 families and having the laundry facility was great. Although we found adequate dishes and cookware, it would have been nice to have more containers with lids to store our leftover food. We had a wonderful stay. The villa was in an excellent location. Beautiful views of the golf course. Easy access to beach and swimming pool. The bikes were a wonderful amneity! The villa was clean and spacious. Lou responded quicky to emails and questions. Lou and Anne really care about the condition of their villa. Would definitely stay again. You can bike to the beach, walk, drive or take the Palmetto Dunes Buggy during peak season. The pool and 3 free tennis courts are just a few steps from our front door. The tennis courts are for the exclusive use of Inverness owners and guests. Other Activities: shopping, kayaking, shelling, wildlife viewing, miniature golf, RELAXING! All rates include all taxes and cleaning. Multi - week discounts are available. Extra nights available upon request and availability. Spring weekly rates range from $900 - $1300 (Heritage and Easter weeks higher). September - December weekly rates range from $750 - $1100 (Thanksgiving and Christmas slightly higher).